LG wants to make a camera phone with 16 lenses. Er, what? New patent unveils a patently absurd idea. 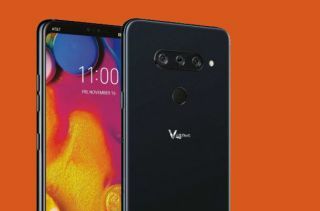 LG recently revealed the LG V40 Thinq with five lenses (three at the back, two at the front) but it wasn't to go way bigger with a future phone. A new patent reveals that it is trying to create a phone with 16 lenses on it. Now, on first read that is utterly ridiculous. And on second, third and fourth... But, the thinking behind the camera phone is that the lenses would be arranged in a 4x4 matrix and this would allow the user to shoot 3D movies and giving the utmost control to image manipulation. This might not be as far-fetched as it sounds, because multi-camera phones are already hitting the mainstream with models like the Nokia 9 PureView. The phone would house 16 cameras on its back in a 4x4 configuration. This is because one shot could theoretically have multiple angles in it and you could rotate and change position of objects and people in a shot. In the patent, this is handily illustrated by a teddy bear. Theoretically, you could move an object within the scene. The patent goes on to note that you would be able to draw around a person's head and be able to search for images of that person (something similar already happens with Google Photos) and the idea is that you can completely replace the head of someone with a better version that has been shot. The patent continues: "The mobile terminal comprises a display module; a camera provided with a plurality of lenses; and a controller configured to receive images through the plurality of lenses and outputting the received images on the display module, wherein the controller generates one moving image data by using an image received from the first lens of the plurality of lenses and an image received from the second lens different from the first lens." Make from that what you will. Will this camera phone see the light of day? Probably not, but it shows the extremes phone manufacturers are going to make sure that their handsets are equipped with the most eye-catching cameras. Looking for the best camera phone? Then these are for you.